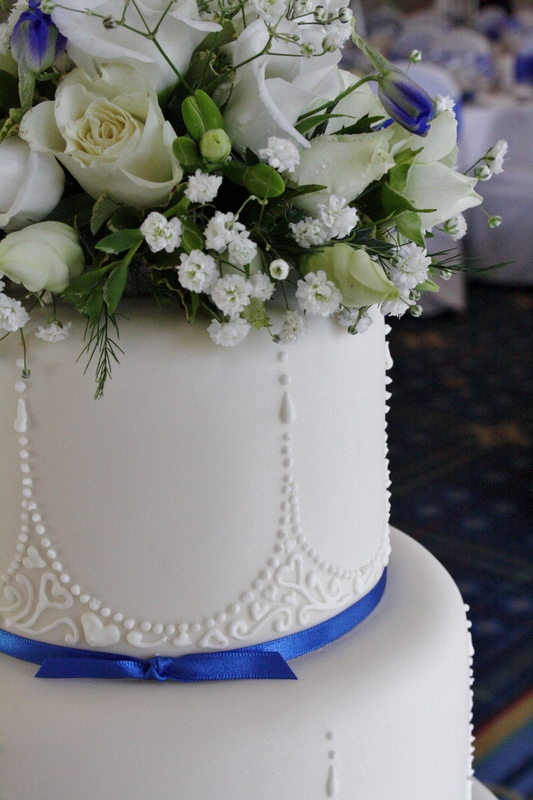 Four Tier Wedding Cake at Deans Place Hotel, Alfriston, East Susssex. 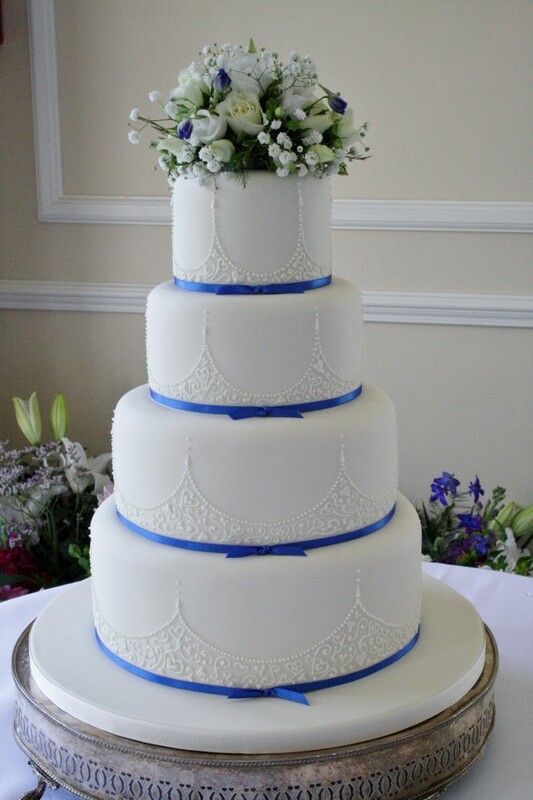 All tiers iced in ivory, with hand piped ivory detailed design taken from the wedding invitations, with cobalt blue fine satin ribboning to match. Top tier finished with fresh florals from Buds That Bloom. Base tier of rich fruit cake, Tier 1 of Carrot and Walnut cake with Orange Oil & Zest whipped buttercream, Tier 2 of Fresh Lemon Zest sponge with whipped lemoncurd buttercream and Tier 3 of moist Belgian Couverture Chocolate Sponge with whipped Belgian Couverture Chocolate Ganache filling. Cake serves 130 finger portions. Moist rich fruit cutting cake also provided.